International Finance Corporation (IFC) is planning to invest around $165 million in Bajaj Finance, a non-banking financial corporation (NBFC) as well as Dodla Dairy. 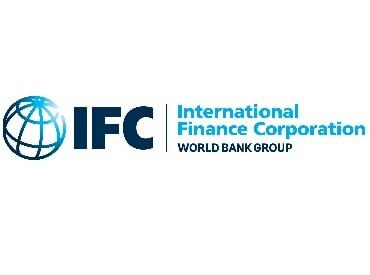 IFC will make a $150 million debt investment in Bajaj Finance Limited (BFL). The proceeds will be used for lending to Small and Medium Enterprises (SMEs) in low-income states. States. In addition, Bajaj Finance will match IFC’s investment by contributing up to $450 million from its own balance sheet. BFL is a diversified NBFC registered under the Reserve Bank of India, operating across different business segments - Consumer (40 per cent), Mortgage (28 per cent), SME (13 per cent), Commercial (11 per cent), and Rural (8 per cent). As of December 31, 2018, BFL has total assets under management of around $ 15.56 billion. Bajaj Finserv reported a market cap of $14.3 billion as on February 25, 2019. IFC's investment in Dodla Dairy is estimated at $15 million. The proposed investment will support Dodla to expand and upgrade its existing manufacturing infrastructure by purchasing new equipment for processing plants, fund its working capital needs as well as marketing and brand building for the company. Dodla Dairy was incorporated in 1995 and is one of the top three dairy companies in Southern Indian states of Telangana, Andhra Pradesh, and Tamil Nadu with a total capacity of approximately 1 million litres per day as of May 31, 2018. It also has a presence in Kenya and Uganda. It engages in the procurement, production, distribution and marketing of milk and milk products, comprising fresh milk, curd, butter, paneer (cottage cheese), flavoured milk, milk sweets among others.